Welcome to our range of counter mats? 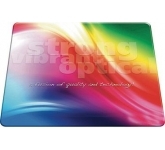 Promotional counter mats where practicality meets brand exposure! Attracting your target audience is no easy task, especially when you are up against strong competitors. However, there are ways you can promote your business successfully without breaking the bank. All you have to do is use promotional products! But we're not talking about just any promotional merchandise. Sure, they all have their pros and cons. 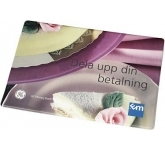 Nevertheless, if you are after brand exposure and sales rate boost, then you ought to pick something with plenty of artwork space; something that will catch the eye almost instantly; something useful, yet unique - Something like branded counter mats! In order to reach maximum exposure, business owners have to take into account the taste of their potential customers. What colours do they like? What designs are they most attracted to? 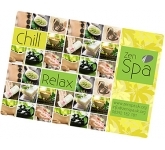 All this information is crucial when designing your perfect promotional counter mats. 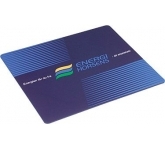 However, unlike some other promotional products that limit you in terms of space, these mats allow you to really get your message across. With plenty of artwork space to go around, you will easily design the perfect background for an ad that will inspire hundreds of impressions. Furthermore, you will strategically place these mats all over your office, making sure every desktop carries a simple, yet effective message. But that's not all. When it comes to promotional products, you also have to make sure that they are as useful as possible. After all, the last thing you want is for the products to end up in the bin, never to be seen again and thus a waste of money. Luckily, that will never happen with branded counter mats. These mats are some of the best space-saving promo items out there. What's more, they are also quite useful across many industries. Banks, bars, call centres, prisons, hospitals - all these office spaces require something as simple as a counter mat. So why not give that to your potential clients? Giving them away will also be easy. 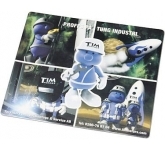 These products are very popular at trade shows, exhibitions, promotional events and even regular meetings. Just one look at them is all it takes - your client will be instantly hooked! 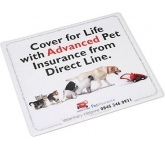 With their anti-slip and anti-bug properties, promotional counter mats are your one-way ticket to ultimate success. These mats are desirable, unique, and customisable. Above all else, they are able to reach a wide audience. In no time, you will see results that will not only skyrocket your business to success but also bring about a whole new range of clients. These clients will, in the end, become your brand ambassadors and help you promote your business even more. So what are you waiting for? Using promotional counter mats is a surefire way of boosting brand exposure, generating more revenue and attracting the clients you want! We offer a variety of printing options on our vast range of custom printed promotional counter mats from screen printing, right through to the very latest in UltraHD print technology allowing us to reproduce full colour images and logos to a standard most suppliers can only dream of. So, if you are looking for low cost, budget, value or cheap printed counter mats, and find the same product cheaper, with the same print specification and turnaround, just let us know and we will match the price and back it with our industry Award Winning Customer Service - that's our guarantee!! 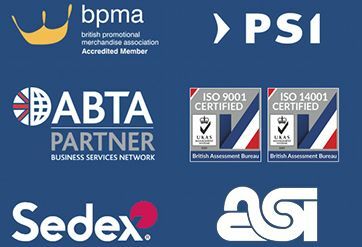 For additional information on our branded promotional counter mats or to find out how businesses can benefit from promotional products to increase brand awareness, why not contact us and have a chat to one of our dedicated account managers who will be happy to advise you further.